The 10.1-inch Xoom was the center of attention at the Consumer Electronics Show in January where it debuted running Android's tablet-based Honeycomb operating system. The device went on sale February 24, although it lacked support for Verizon's 4G LTE network out of the box. The company planned to offer the 4G upgrade "shortly after launching" the Xoom but this promise has been met with multiple delays. Now it seems that the long-awaited free upgrade will take place in September, according to Verizon Wireless spokeswoman Brenda Raney. Unlike a simple software upgrade that can be done at home, users must mail their Xoom tablets to Motorola for the physical hardware addition. As such, Motorola suggest that users back up and remove any confidential, proprietary or personal information on the tablet before sending it in for servicing. The upgrade is free of charge to current Xoom 3G owners and Motorola will even cover the shipping costs. The entire process is expected to take up to six business days. Raney said that Motorola is in the process of sending letters to current customers informing them of the upgrade and that more information will be provided as the pending date approaches. 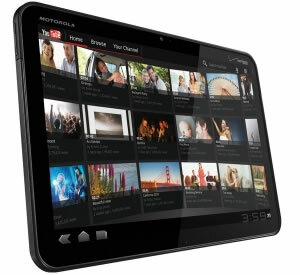 The Xoom was the first of several Honeycomb tablets launched to compete with Apple's wildly successful iPad line. The device was a welcomed addition to the market but was met with mixed reviews. Despite better connectivity options and a more versatile operating system, Cupertino’s tablet still maintains a large share of the market.